Ever since the RMS Titanic struck an iceberg in the North Atlantic on its maiden voyage on the night of April 14th, 1912 and sank with just over 1,500 souls still aboard her, people have been fascinated by the ship, its passengers, and its legacy. Tales of tragedy, bravery, and survival abound, and perhaps it is these stories of humanity that have allowed the memory of Titanic to endure. From its sinking at sea to this very day, people taken with the mighty ship and her fate have been collecting artifacts that include newspaper clippings, photographs of passengers, movie collectibles, and items retrieved from the ship itself. 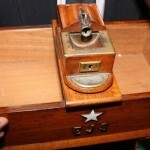 Some items, such as Captain E.J. Smith’s cigar box, are worth thousands of dollars. However, if you want to start building your own collection, there are a few tips that might help you start strong and create a Titanic treasury you will be proud to display in your home. While some existing Titanic collections are worth millions of dollars, starting off your collection with grand aspirations might cause you to feel frustrated after a few months, especially if you try to bid at online auctions without having any experience. When you first start collecting items, it is a good idea to start with smaller collectibles and get a feel for where to find them, how to bid, and what type of pieces most draw your attention. Bidding for smaller, less costly items on sites like eBay can help you understand how the process and how to compete for popular pieces. 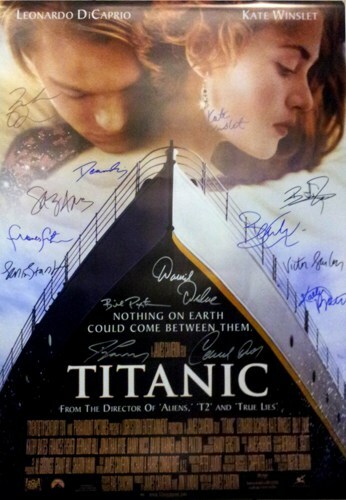 For example, if you discover that photo prints from the original ship and signed posters from A Night to Remember or James Cameron’s Titanic are what attract you the most, browse auction sites to see what’s available before you start to bid. Learning the ins and outs of bidding and winning a few smaller items can give you the confidence to join larger auctions later on. 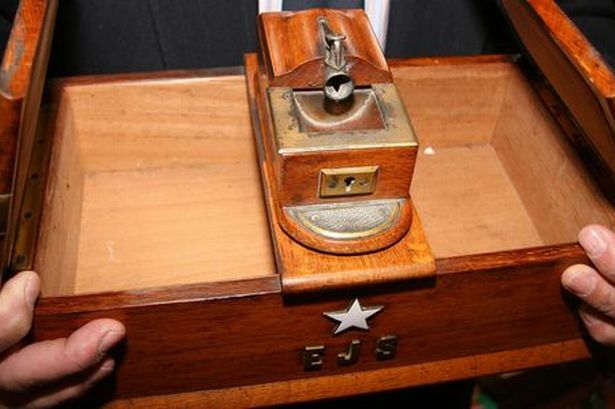 While most Titanic collectors covet authentic items, this doesn’t mean you should ignore the many fine replicas that are currently being created. From first-class menus to reprints of famous photos and more, replicas can pad your collection and make great conversation pieces as well. If you want to add replicasto your collection that look authentic, there are many artists who are currently creating exact replicas of Titanic’s famed interior. 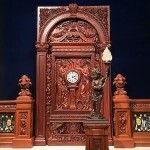 One artist, Alan St. George, has created a website where collectors can buy a variety of authentic replicas, from cherub lamps and pedestals to the ship’s grand staircase clock. These items are not only made from the finest materials, you can purchase them on installments so you can continue to add other pieces to your collection without breaking your collectibles budget. You can watch Alan St. George create one of his masterpieces here. Just as there are many authentic Titanic pieces to be found out there in the world of collecting, fakes and fabrications abound as well. As you build your collection, it is a good idea to educate yourself about the community and learn what fakes might be circulating out there so you don’t end up wasting money on an item that is worthless. One of the best ways to stay informed is by reaching out to other collectors and creating an informative, trustworthy network you can turn to if you have a question. While search engines can supply you with some information, there is no substitution for those who are in the know when it comes to collectibles. Join message boards and forums, put yourself out there, and don’t be afraid to ask questions, especially if you are just starting out with your Titanic collection. 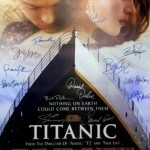 If you are like most Titanic collectors, you are extremely passionate about adding items to your collection. However, this passion might override common sense on occasion, especially when it comes to authentic items or that one collectible you have been looking for since you started collecting. While the thrill of the hunt can be one of the best aspects of collecting, it’s important to manage your passion before you dive in and buy an item you can ill afford. The stories of human survival, tragedy, and triumph connected with Titanic have endured for well over a century and have created a collectibles bonanza for those who are fascinated with the ship. Whether you are just starting out or already have a few items in your collection, keeping these tips in mind can help you build a treasury to be proud of.